There seems to be no shortage of famous Old West lawmen. Such men as Wyatt Earp, Wild Bill Hickock, and Bat Masterson have been immortalised in books, movies, comic books, and television shows. Among those lawmen of the Old West considered to be the greatest by historians and Old West aficionados is Bass Reeves. Bass Reeves was a Deputy U.S. Marshall who worked mostly in Arkansas and the Indian Territory (later Oklahoma). In a career that spanned 32 years he arrested around 3000 criminals. He claimed to only be fair with a rifle, although curiously he was banned from turkey shooting competitions on a regular basis. He shot and killed 14 badmen, although each time it was in self-defence. Marshal. Reeves himself was never wounded although on two separate occasions his hat and his belt were shot off. Bass Reeves's record would put those of many more famous Old West lawmen to shame. Aside from his efficiency as a lawman, one thing that set Bass Reeves apart from other lawmen in the Old West is that he also happened to be black. Bass Reeves was born into slavery in July 1838 in Crawford County, Arkansas. Like the rest of his family, Bass was the slave of Arkansas sate legislator William Steele Reeves. Bass Reeves was only about eight years old when William Steele Reeves moved to Grayson County, Texas to settle Peters Colony. When the American Civil War broke out, William Steele Reeves' son took Bass Reeves with him to war. It was during the Civil War that Bass Reeves escaped slavery. How he did so is a bit unclear. According to one story he beat George Reeves up after a disagreement over a card game and then fled. According to another story he simply departed after the Emancipation Proclamation was issued. Regardless, Bass Reeves went to the Indian Territory, where he lived with the Seminole and Creek tribes. It was while in the Indian Territory that Mr. Reeves not only learned the languages and customs of various Native American peoples, but also refined his skills as a scout and his skill with guns. He eventually married Nellie Jennie and settled down as a farmer. He had ten children--five girls and five boys. It was on May 10 1875 that Isaac Parker (forever remembered as "the Hanging Judge") became the judge for the Federal Western District Court at Fort Smith, Arkansas. To deal with the lawlessness of the Indian Territory and surrounding areas, Judge Parker appointed James F. Fagan as United States Marshal and ordered him to hire 200 Deputy U.S. Marshals. Stories about Bass Reeves, who was familiar with the Indian Territory, could speak several Native American languages, and was skilled as both a scout and a gunman, had reached Marshal Fagan. He then recruited Bass Reeves as a Deputy U.S. Marshal. This made Bass Reeves the first lawman west of the Mississippi. At the time he became a Deputy U.S. Marshall, Bass Reeves was 38 years old, not exactly young for the era. That having been said, he was an impressive figure. He stood 6 foot 2 inches and weighed 180 pounds. He was known for being calm, cool, and collected. The Oklahoma City Weekly Times-Journal wrote of him, “Reeves was never known to show the slightest excitement, under any circumstance. He does not know what fear is." 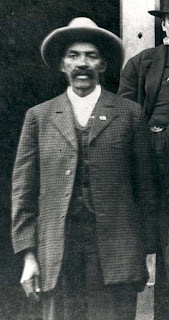 Given his impressive figure, his skills with the gun and at tracking, and his very demeanour, Bass Reeves quickly earned a reputation as a lawman. As difficult as Marshal Reeves's pursuit of Bob Dozier was, it was perhaps not as remarkable as his encounter with the murderous Brunter brothers. The Brunter brothers knew Bass Reeves was pursuing them and actually accomplished something few criminals ever did--they got the drop on him. The three brothers ordered Bass Reeves off his horse and then proceeded to taunt him with what they thought would be his inevitable death at their hands. Marshal Reeves remained calm and simply asked the brothers for the date. When they asked him why he needed to know, he told them that he needed the correct date for their arrest papers. He also said it did not matter if he took them in dead or alive. The Brunter brothers broke into laughter, at which point Bass Reeves grabbed the gun barrel of the Brunter closest to him, while drawing his own gun. The other two Brunters drew their guns on Bass Reeves, but they were not fast enough. Bass Reeves shot and killed them both. It is not particularly clear what happened to the third Brunter. Some reports say that Marshal Reeves killed him, others that he merely arrested him. Such was Bass Reeves's reputation that some criminals simply turned themselves into him without a fight. Among these may have been one of the most famous outlaws of all time. Bass Reeves was tracking none other than Belle Star for horse theft. Some accounts claim that when she found out it was Marshal Reeves who was pursuing herself, she simply turned herself into him. Much later in Bass Reeves's career his reputation was such that one criminal actually had nightmares about him. Jerry McIntosh, a man who had burned his wife alive (he claimed he was drunk at the time) dreamed that the legendary lawman cornered and shot him. It was because of this that he surrendered himself to Bass Reeves in Ardmore, Oklahoma. Bass Reeves was not only a skilled gunfighter and a superb tracker, but he was also a man of integrity. In the early 20th Century there was issued a warrant for the arrest of one of his sons, Bennie Reeves, for the murder of his wife. It was suggested to Bass Reeves that perhaps some other Deputy Marshal should handle the case, but he insisted on doing so himself. Marshal Reeves arrested his own son and Bennie Reeves was eventually sentenced to life imprisonment. He would eventually be released on good behaviour and never violated the law again. Many other Old West lawmen might well have tried to protect a close relative who had committed the crime, but Bass Reeves insisted on seeing justice was served. Bass Reeves's career as a Deputy U.S. Marshal ended in 1907 when Oklahoma became a state. He was 67 at the time. He then joined the Muskogee, Oklahoma police department. According to reports there was never a crime committed on Bass Reeves's beat in Muskogee. He left the force at age 69 and died two years later at the age of 71. Despite a record of apprehending criminals that was much better than that of many more famous Old West lawmen, for most of the 20th Century into the 21st Century Bass Reeves was known only to historians and Old West aficionados. Fortunately the publication of Black Gun, Silver Star: The Life and Legend of Frontier Marshal Bass Reeves by Art T. Burton, the first and only scholarly work on Marshal Reeves, in 2006 has helped make him better known. He has since appeared in a few novels, including five written by Ken Farmer and Buck Stienke. Only a few films have been made about Bass Reeves, none of them major releases. The 2002 straight to video release Black Marshal: The Hunt for Dozier portrayed Bass Reeves's pursuit of Bob Dozier. Another straight to video movie, Bass Reeves, was released in 2010. Last year the short "Lawman" was released. It portrayed Marhsal Reeves bringing in an outlaw. Of late Bass Reeves has also appeared as a supporting character or less in a few films. As to television, Bass Reeves's only appearance in a drama was in the recent episode of time travel show Timeless, "The Murder of Jesse James". As to why a lawman with an arrest record such as Bass Reeves has not seen a plethora of movies, comic books, and television shows made about him, the primary reason is quite simply the status of African Americans in the United States for much of the late 19th and 20th Centuries. During the Silent Era and the Golden Age of Hollywood African Americans were limited to supporting roles, often ones that were extremely stereotypical. Indeed, very few black characters appear in Westerns made during the Golden Age, something which contradicts historical fact. In the Old West African Americans were more than servants, boot polishers, and train porters. One in four cowboys was black. There were entire cavalry regiments composed of African Americans, the famous Buffalo Soldiers. There were black farmers, prospectors, drivers, and traders. Sadly, during the Golden Age of Hollywood, none of this was acknowledged. It would have been too much to expect the major studios of the era to acknowledge a black Deputy U.S. Marshal such as Bass Reeves. By the late 20th Century things had improved with regards to African American roles. Not only did blacks feature more prominently in films, but films featuring African Americans in leading roles emerged. Unfortunately by this point the Western was in sharp decline. After enjoying decades of popularity, by the late Seventies the Western was considered passée. While the Seventies would see such films as Sounder (1972) and Lady Sings the Blues (1972) and the Eighties would see such films as A Soldier’s Story (1984) and The Colour Purple (1985), a Western centred on a black Deputy U.S. Marshall was not in the offing. Of course, it must also be pointed out that fame was something that did not come to many of the lawmen of the Old West, even those, like Bass Reeves, who numbered among the very best. Bill Tighman served as a lawman for nearly fifty years, but he never became a household name. John Hughes served as a Texas Ranger for decades, and yet one would be hard pressed to find many in the general public who would recognise his name. Those Old West lawmen who did become famous were either lucky enough to have writers take an interest in them or to have a gift for self promotion. Wyatt Earp was not particularly well known until the publication of the biography Wyatt Earp: Frontier Marshal by Stuart Lake in 1931. Although the book is actually more a work of fiction than a proper biography, it led to Wyatt Earp's lasting fame. Wild Bill Hickok needed no biography to attain fame, as he had a knack for self promotion. He often told tall tales about himself that had no basis in reality. These tall tales would then be picked up by writers and often exaggerated even further. Given such similarly great lawmen as Bill Tighman and John Hughes never became household names, there was little chance that Bass Reeves would either. Regardless, Bass Reeves has all the makings of a Western hero suitable for a major motion picture or a television series. He was deadly accurate with a gun. He was a master at tracking and had considerable skills as a detective. He knew several Native American languages. He was also an honest and honourable man who could not be bribed and always went by the law. Bass Reeves was in many ways a bigger than life figure, and one more impressive than many of the more famous Old West lawmen who are household names. What is more, with a long career in law enforcement there are a plethora of stories in newspapers and books about his adventures that could provide fodder for several movies or even a long running TV show. With the success of such films as 12 Years a Slave (2013) and Hidden Figures (2016), the time could finally be ripe for a major motion picture or TV show about Bass Reeves, quite possibly the greatest Old West lawman of them all. If one asks a film buff to name a Canadian auteur, chances are good that the answer would either be David Cronenberg or Atom Egoyan. And if one asked a film buff to name Atom Egoyan's best film, chances are fairly good that it would be The Sweet Hereafter (1997). The Sweet Hereafter received overwhelmingly positive reviews upon its initial release. Indeed, to this day it is one of the very, very few films to have a 100% rating at review aggregator website Rotten Tomatoes. It also received a good number of awards. At the Cannes Film Festival it won the FIPRESCI Prize, the Grand Prize of the Jury, and the Prize of the Ecumenical Jury, as well as being nominated for the Palme d'Or. It received many Genie Awards (Canada's equivalent to the American Oscars or British BAFTA Awards), winning the awards for Best Motion Picture, Best Performance by an Actor in a Leading Role, Best Achievement in Direction, Best Music Score, Best Overall Sound, and Best Sound Editing, while being nominated for yet more. It was nominated for the Oscars for Best Director and Best Writing, Screenplay Based on Material Previously Produced or Published. Today, nearly twenty years after it was released, it may be safe to say The Sweet Hereafter could be one of the greatest Canadian films of all time. The Sweet Hereafter was based on the 1991 novel of the same name by Russell Banks. The novel itself was inspired by an actual event. On September 21 1989, near Alton, Texas, a Mission school bus was hit by a Dr. Pepper truck (owned by a Coca-Cola bottling plant), knocking it into a water-filled caliche pit. The bus was completely submerged. Twenty one children drowned and another forty nine were injured. Three hundred and fifty lawsuits ensued following the crash. The Coca-Cola distributor paid settlements to the families of the victim in the amount of $4.5 million for each child who was lost. The manufacturer of the bus was sued and ultimately paid out $950,000. Even the city of Alton, Texas was sued for not having the sufficient barricades for the caliche pit. Ultimately many lawyers who rushed to Mission, Texas following the crash would face ethics charges. Here it must be pointed out that Russell Banks simply drew inspiration from the 1989 Alton, Texas bus crash for The Sweet Hereafter. Many of the particulars of the novel differed from the actual event. The Sweet Hereafter was set in Upstate New York rather than south Texas. The town in which the novel is set, Sam Dent, also happened to be considerably smaller than Mission, Texas (which, at 31,100 people according to the 1990 census, was hardly a small town). In fact, Sam Dent is so small that the bus crash kills the majority of the town's children. The circumstances of the bus accident were changed as well. Instead of September, the accident takes place during winter, with the bus skidding on an icy road into the pit. In the wake of the crash a big city lawyer persuades the citizens of Sam Dent to sue for damages The novel examines the various people's lives in the wake of an unthinkable tragedy and the impact that the lawsuits have on the town. The Sweet Hereafter was optioned by Fox Searchlight Pictures, a division of Fox that specialises in the distribution of independent films, British films, art house movies, and foreign films. As to Atom Egoyan, he encountered the novel through his wife Arsinée Khanjian. Mr. Egoyan sought to get the rights to The Sweet Hereafter, only to learn that it was already optioned by Fox Searchlight. Fortunately, Fox Searchlight rejected a prospective script and then let their option expire. It was not long before Fox Searchlight's option on the book expired that mutual friend Margaret Atwood suggested to Atom Egoyan that he meet with Russell Banks to acquire the rights to the novel. In adapting The Sweet Hereafter as a film Atom Egoyan made some significant changes to the novel. In order to obtain funding from Telefilm Canada, he moved the setting from Upstate New York to British Columbia. He also altered the narrative structure. While the novel proceeds through the narratives of four different characters, Atom Egoyan gave the movie a non-linear narrative that jumps back and forth between characters and even the past and present. Mr. Egoyan also added reference to The Pied Piper of Hamelin by Robert Browning, and changed the number of survivors from what it was in the novel. He also made attorney Mitchell Stephens the main character in the movie. Originally Donald Sutherland had been cast in the role of Mitchell Stephens. He had to back out of the film only ten days before shooting was to begin. Sir Ian Holm was then cast in the role of the Toronto lawyer. Mr. Egoyan had been impressed by Mr. Holm's turn in The Homecoming (1973), which he described as "strangely compassionate, yet furtive and menacing." Paul Gross tried out for the role of Billy Ansel, the widower who lost his twins in the crash, but he ultimately lost the role to Bruce Greenwood. Quite simply, while Atom Egoyan thought Mr. Gross was a fine actor, he also thought he was too handsome for the part. Sarah Polley was cast in the pivotal role of surviving teenager Nicole Burnell. Although young, Miss Polley already had an extensive acting résumé. She had been acting since age four and had just recently ended her run as Sara Stanley on the highly successful Canadian television series Avonlea. The Sweet Hereafter was made on a very small budget of only $5 million. It was also shot in only 34 days. Much of the film was shot on location in Merritt, British Columbia, a small, remote town with a population of around 8000 people. Other parts of the film were shot in Spences Bridge, British Columbia, Stouffville, Ontario, and Toronto. The Sweet Hereafter premiered at the Cannes Film Festival on May 15 1997. It was later shown at the Locarno Film Festival in Switzerland and the Toronto International Film Festival, among others. It went into general release in the United Kingdom on September 24 1997 and then into general release in Canada and the United States on October 4 1997. As mentioned earlier, The Sweet Hereafter opened to nearly universal critical acclaim. It also picked up quite a few awards and nominations for awards along the way. Sadly, despite the critical acclaim and the many awards, The Sweet Hereafter would not do well at the box office. Ultimately after its initial run its domestic box office would only be $4,306,697 and its international box office only $3,644,550. Fortunately over the years The Sweet Hereafter has developed a following, as well as a reputation as one of the greatest Canadian films ever made. Indeed, The Sweet Hereafter is one of those rare films that is so layered, so complex, that any attempt to describe why it is such a great film is doomed to failure. Quite simply, it is one of those films that one has to see for himself or herself. Certainly it takes a much different approach than a studio film from Hollywood would have. And this goes well beyond its non-linear narrative structure. As an example, in a more mainstream film not only would attorney Mitchell Stephens not be the main character, but he would likely be the antagonist. He would the smarmy, big city lawyer who comes to the small town marred by tragedy to make money by talking the people there into lawsuits. In The Sweet Hereafter, Mitchell Stephens is actually a somewhat sympathetic character, whose motivations for talking those who lost their children into suing is not simply to make money. Of course, Mitchell Stephens's story is only one of many in The Sweet Hereafter. The film examines the lives of many of the people of this small, Canadian town, and does so in such a way that the viewer feels he or she knows them well. This is aided not only by the performances of the excellent cast but the movie's very non-traditional narrative structure. The Sweet Hereafter does not unfold chronologically, but rather thematically. In doing so the film reveals more about its characters than it would if it had simply proceeded from past to present in a straight-forward fashion. As to the characters, they are definitely forever changed by the tragedy and the aftermath. Atom Egoyan is not simply dealing with the nature of grief in The Sweet Hereafter or even merely the impact of an unthinkable tragedy on a small town. It even goes beyond dealing with how such a tragedy can ultimately divide a community. Much of the film deals with the inner lives of the individuals of the community and how they conduct their everyday lives. The Sweet Hereafter ultimately shows how even one's everyday life can be changed by a calamity at even the smallest level. The Sweet Hereafter would establish Atom Egoyan as one of the foremost Canadian filmmakers. While some of his other films would make much more money at the box office, it is The Sweet Hereafter that remains regarded as his masterpiece. 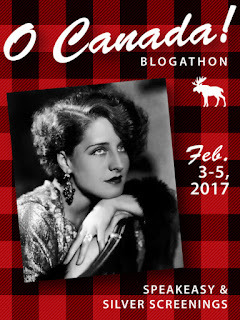 Today it is regarded by many as one of the greatest Canadian films of all time. One has to suspect it is only a matter of time before it is regarded as one of the truly great classics. If you are a fan of silent movies you might well have heard of film preservationist David Shepard. He was responsible for the preservation and restoration of many silent films. Sadly, Mr. Shepard died on January 31 at the age of 76 after a long illness. David Shepard was born in 1940 in New York City. It was because of the father of his one of his friends, a stage actor who played piano for silent films, that he became interested in movies. His friend's father would later hold weekly showing of movies for the neighbourhood kids, among whose number was also future film critic and historian Leonard Maltin. As a boy David Shepard would save up money from his paper route to buy film reels from the local camera stores. He attended graduate school at the University of Pennsylvania, and then taught theatre and film at Penn State. It was in 1968 that David Shepard was recruited by the newly founded American Film Institute to collect and preserve films. In 1973 Mr. Shepard joined Blackhawk Films as a vice president and served in that capacity until 1976. In 1986 he founded Film Preservation Associates, which later acquired Blackhawk Films. He also taught film at the University of Southern California and the University of California, Los Angeles. He supported the Niles Essanay Silent Film Museum in Fremont, California, and donated many prints to the museum over the years. A complete list of the films preserved by David Shepard would be a very long one indeed. Suffice it to say that if one has watched a significant number of silent movies, chances are good that he or she watched several films that Mr. Shepard saved. Among the silent films preserved by Mr. Shepard number such classics as The Cabinet of Dr. Caligari (1920), Dr. Mabuse, der Spieler (1922), The General (1926), The Mark of Zorro (1920), Nosferatu (1922), The Phantom of the Opera (1925), Robin Hood (1922), and Sunrise (1927). While his primary focus was silent movies, he also preserved some talkies, including Das Testament des Dr. Mabuse (1933), The Emperor Jones (1933), and Meet John Doe (1941). David Shepard was known for his generosity as a film preservationist. For thee Niles Essanay Silent Film Museum's first Broncho Billy Silent Film Festival in 1998, he not only provided films but his own projection equipment. He was known to be helpful to film scholars, bloggers, and fans alike. From those who met him in person, it is said that he was a very approachable, very nice man. Ultimately it is hard to assess the total impact that David Shepard had on the preservation and restoration of silent movies. In fact, it seems likely that he played a role in the preservation of the vast majority of silent movies currently available on DVD today. For that silent movie fans owe Mr. Shepard an enormous amount of gratitude. It was 50 years ago today at Abbey Road Studios in London that The Beatles began recording a new song by Paul McCartney entitled "Sgt. Pepper's Lonely Hearts Club Band". It was after the song had been recorded that Paul suggested that The Beatles record their upcoming album as if it was performed by the fictional band. The end result was an album considered by many to be among The Beatles' greatest albums of all time, Sgt. Pepper's Lonely Hearts Club Band. Without further ado, then, "...let me introduce to you the one and only Billy Shears and Sgt. Pepper's Lonely Hearts Club Band..."
I think I can speak for most of us when I say that we hoped fewer classic stars from film, television, and music would die in 2017 than had died in 2016. For a time this January that seemed as if that would be the case. Unfortunately last week saw the deaths of several big names within days of each other, including Mary Tyler Moore, Sir John Hurt, Mike Connors, Barbara Hale, and Emmanuelle Riva. I generally try to eulogise those stars who have had an impact on me in this blog, but given how many died last week I could well be spending much of early February eulogising all of those I have not eulogised yet. With this post, then, I intend to acknowledge the contributions of those stars who died recently, but whom I have yet to eulogise. Actor Philip Bond died the week before last, on January 17 2017. He was born on November 1 1934 in Burton-on-Trent, Staffordshire. Philip Bond was a regular on several series and mini-series, including The Herries Chronicle, Walk a Crooked Mile, 199 Park Lane, The Main Chance, and The Onedin Line. He was a frequent guest star on British television, including such shows as The Saint, Doctor Who, The Flying Swan, The Avengers, Jason King, Bergerac, Lovejoy, and Midsomer Murders. He appeared in only a few films, including Foxhole in Cairo (1960) and Fever Pitch (1997). He was the father of Samantha Bond, who played Miss Moneypenny for a time in the James Bond movies, played Lady Rosamund Painswick on Downton Abbey, and currently stars as Frances Barden on Home Fires. 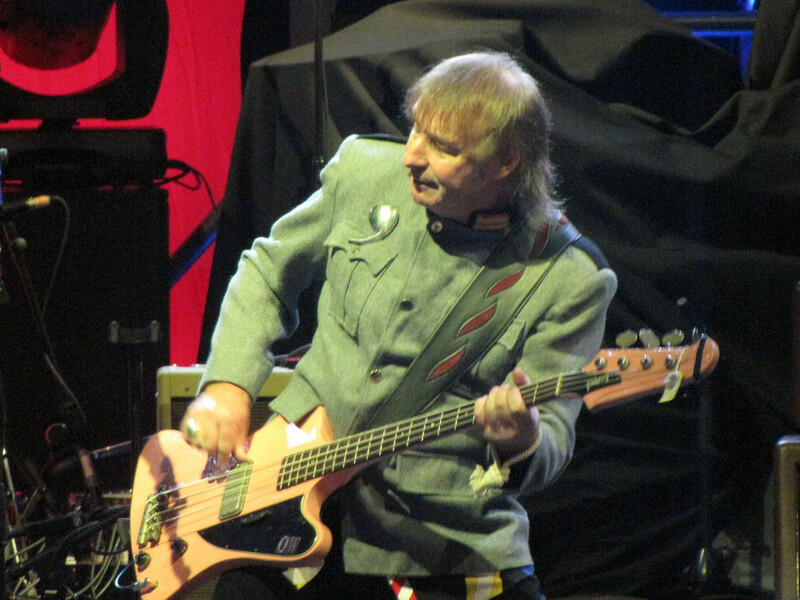 Pete Overend Watts, bassist and founding member of Mott the Hoople, died January 22 2017 at the age of 69. The cause was throat cancer. He was born on May 13 1947 in Yardley, Birmingham. His family moved to Worthing, Sussex when he was a child and then to Ross-on-Wye, Herefordshire. It was there that he took up the guitar. After a couple of years he switched to the bass. He began playing in a band called The Buddies, which evolved into the Doc Thomas Group, which in turn became Shakedown Sound and then Silence. With the addition of lead singer Ian Hunter, Silence became Mott the Hoople. Mr. Watts remained with Mott the Hoople after Ian Hunter and Mick Ralphs left the group and the band simply became "Mott". Following the break up of Mott, Pete Overend Watts formed British Lions with other veterans of Mott the Hoople. He later became a record producer, producing such acts as Department S, Hanoi Watts, and The Stiffs. Mary Webster, who appeared in the films The Delicate Delinquent (1957) and Master of the World (1961), died on January 23 2017 at the age of 81. Miss Webster was born in Dallas, Texas. She was a frequent guest star on television shows in the Fifties and early Sixties, appearing on such shows as Father Knows Best, The George Burns and Gracie Allen Show, Bachelor Father, Studio One, Mike Hammer, Death Valley Days, The Millionaire, Perry Mason, Dr. Kildare, and The Twilight Zone. Beyond the aforementioned films, she also appeared in the movies Engagement Party (1956), The Tin Star (1957), Eighteen and Anxious (1957), and The Clown and the Kid (1961). Gorden Kaye, the star of the hit sitcom 'Allo 'Allo!, died on January 23 2017 at the age of 75. He was born on April 7 1941 in Huddersfield, Yorkshire. In addition to 'Allo 'Allo! he was a regular on several other shows, including Coronation Street, Emmerdale, Come Back Mrs. Noah, Born and Bred, and Revolver. Mr. Kaye guest starred on such shows as Till Death Do Us Part, It Ain't Half Hot Mum, All Creatures Great and Small, and Minder. He appeared in such films as Escape from the Dark (1976), Jabberwocky (1977), Porridge (1979), and Brazil (1985). Legendary French actress Emmanuelle Riva died on January 27 2017 at the age of 89. She was born on February 24 1927 in Cheniménil, Vosges, France. For Hiroshima mon amour (1959) she was nominated for the BAFTA Award for Best Foreign Actress. She won the BAFTA Award for Best Leading Actress for Amour (2012) and was nominated for the Oscar for Best Performance by an Actress in a Leading Role for the same film. She won the Venice Film Festival's Coppa Volpi for Best Actress for Thérèse Desqueyroux (1962). Miss Riva also appeared in such films as Kapò (1960), Léon Morin, prêtre (1961), Thomas l'imposteur (1965), Les risques du métie (1967), Liberté, la nuit (1984), Trois couleurs: Bleu (1993), Vénus beauté (institut) (1999), and Le Skylab (2011). She appeared from time to time on French television. 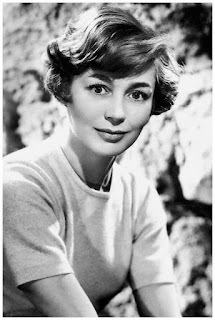 Emmanuelle Riva also had a career on the stage as well as being a published poet and and accomplished photographer. Mike Connors, best known for starring in the detective series Mannix, died on January 26 2017 at the age of 91. The cause was complications from leukaemia. Mike Connors was born on August 15 1925 in Fresno, California. In high school he was part of the basketball team. During World War II he served in the United States Army Air Forces. Following the war he attended the University of California, Los Angeles on a basketball scholarship. There he planned to study law. After seeing Mike Connors on the basketball court, director William Wellman encouraged the young man to go into acting. He made his film debut in Sudden Fear in 1952 and appeared in the films The 49th Man (1953) and Sky Commando (1953) before appearing in William Wellman's film Island in the Sky (1953). In the Fifties he also appeared in such films as Day of Triumph (1954), Five Guns West (1955), Day the World Ended (1955), Swamp Women (1956), The Oklahoma Woman (1956), Flesh and the Spur (1956), The Ten Commandments (1956), Shake, Rattle & Rock! (1956), Suicide Battalion (1958), Live Fast, Die Young (1958), and The Dalton That Got Away (1960). Mr. Connors starred in the short-lived TV series Tightrope!. Debuting on September 8 1959, it followed an undercover police officer named Nick. It was regarded as one of the more violent shows of the era. In the Fifties he also guest starred on such shows as The Ford Television Theatre, Mr. & Mrs. North, The Lineup, Schlitz Playhouse, The Millionaire, The Loretta Young Show, M Squad, Maverick, Have Gun--Will Travel, The Gale Storm Show, Wagon Train, Studio 57, Cheyenne, Lawman, Bronco, One Step Beyond, Mike Hammer, State Trooper, and Whirlybirds. The Sixties saw Mike Connors begin a long run planning detective Joe Mannix on the TV show Mannix in 1967. In the first season Mannix worked for a high tech detective agency called Intertect. For the second season the show was revamped so that Joe Mannix was working on his own and it became a straight forward detective show. Mannix differed from many detective shows in that its hero often took a beating and was sometimes even shot. Despite the fact that most of its run was in the Seventies, a time when violence was nearly unknown on television (even in police and detective shows), Mannix remains notable for its violence. In the Sixties Mike Connors also guest starred on such shows as The Untouchables, Redigo, Perry Mason, and The Red Skelton Hour. He appeared in the films Panic Button (1964), Good Neighbour Sam (1964), Where Love Has Gone (1964), Harlow (1965), Situation Hopeless... But Not Serious (1965), Stagecoach (1966), and Kiss the Girls and Make Them Die (1966). In the Seventies Mike Connors continued to star on Mannix. He even guest starred as Joe Mannix on an episode of Here's Lucy. He also guest starred on an episode of Police Story. He appeared in such TV movies as The Killer Who Wouldn't Die, High Midnight, and Casino. He appeared in the films Avalanche Express (1979) and Nightkill (1980). In the Eighties he starred in the short-lived series Today's F.B.I. He appeared in the mini-series War and Remembrance. He guest starred on The Love Boat and Alfred Hitchcock Presents. He appeared in the films Too Scared to Scream (1985) and Fist Fighter (1989). In the Nineties he guest starred on The Commish; Burke's Law; Murder, She Wrote; Diagnosis Murder (as Joe Mannix); and Walker, Texas Ranger. He provided the voice of Chipacles in the animated series Hercules. He appeared in the films Ciudad Baja (Downtown Heat) (1994), James Dean: Live Fast, Die Young (1997), and Gideon (1998). In the Naughts he reprised his role as Joe Mannix in the movie Nobody Knows Anything! (2003) and guest starred on the TV show Two and a Half Men. Mike Connors seemed to have been born to play tough guys on television. Certainly Joe Mannix was among the toughest. The long time slogan for Timex watches could easily be applied to Mannix, "Takes a licking and keeps on ticking." While Mannix could survive an incredible amount of punishment, he was not a simple brute. Ultimately he was a good natured, regular guy with a willingness to help those in trouble. While Mike Connors would play a number of tough guys on television (including Nick on Tightrope) and in films, he was quite capable of playing other roles. When Raymond Burr had infected teeth, Mr. Connors filled in for him as attorney Joe Kelly on Perry Mason. 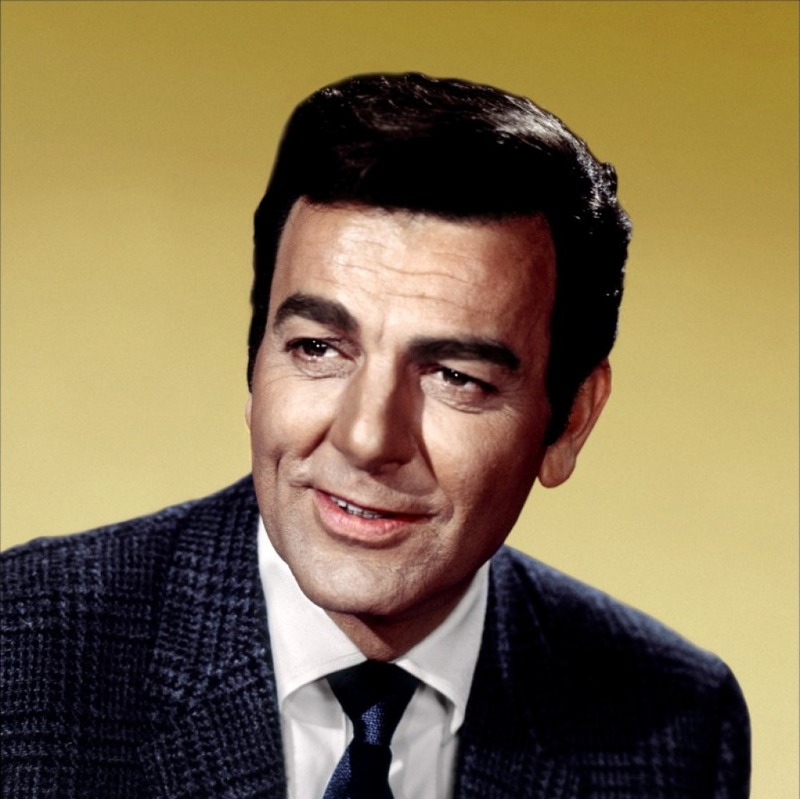 In fact, Mike Connors had been one of the actors to try out for the role of Perry Mason and was considered as a possible replacement if Mr. Burr chose not to return to the show. Mike Connors also had a talent for comedy that is not often recognised. Beyond his memorable guest appearance on Here's Lucy, he also starred in the black comedy Situation Hopeless... But Not Serious (1965) and guest starred on TV comedies from Hey, Jeannie! to The Love Boat. And while Mike Connors generally played good guys, he could make for a very good villain. He played the gangster of the title in the episode "The Eddie O'Gara Story" of The Untouchables. In the Wagon Train episode "The Dora Gray Story" he played a corrupt and bitter United States Army lieutenant. Mike Connors made a very good tough guy and a very good hero on television shows and in films, but he could play many other roles as well.